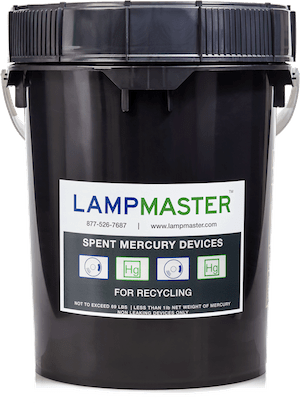 The LampMaster Mercury Device Recycling Kit 5gal is a simple, but effective way to responsibly recycle any devices containing mercury. These devices must be designated as Universal Waste (rather than Hazardous Waste) by the state in which they are collected. 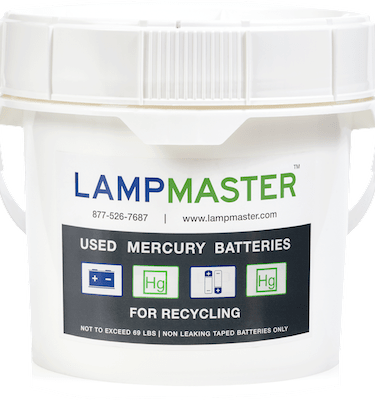 This will vary from state to state but some examples that meet the requirement in most states are mercury-containing thermostats and mercury-containing equipment such as thermometers, barometers, manometers, relay and tilt switches, flame sensors, etc. 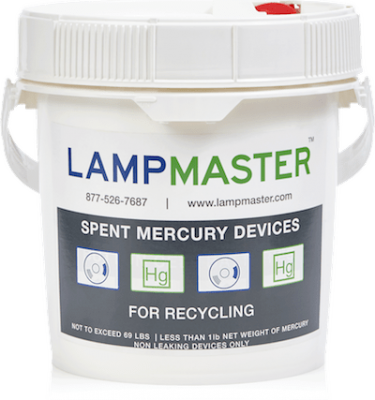 Our mercury device recycling kits are also offered in a 1 gallon and 2.5 gallon container.